Let us pack, store and carefully move all your treasured possessions. 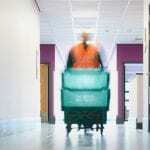 At Alexanders we make moving office a stress-free experience. Our expert office moving team will help you plan every detail, so you can be confident that business continuity will be maintained throughout. 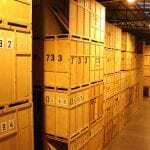 Let us take the stress out of storage in London, so you can free up some space, and relax. 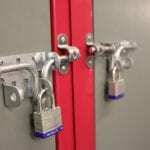 Our convenient London storage facilities are the perfect solution for residential storage and commercial storage customers. 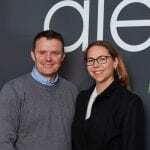 Call 0333 800 2323 or email quote@alexandersgroup.co.uk for a free, no-obligation quote. Whether you’re moving a large flat, a family home or a business with thousands of staff, our Move Managers will plan every detail. On the day, our handpicked team of trained removal porters will carefully pack, move and deliver every single item as planned. 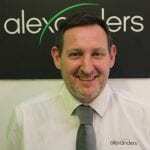 At Alexanders we understand that every move is unique so we plan each one individually. 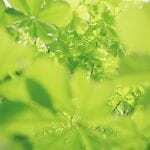 We deliver a comprehensive and bespoke moving service built especially for you and we leave nothing to chance. 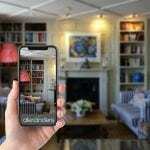 Our experienced movers and packers have been crafting tailored moving services since 2002 and we work hard to maintain our status as one of the best removal companies in London. Our customers drive everything we do and we constantly strive to improve our service based on the feedback we receive. 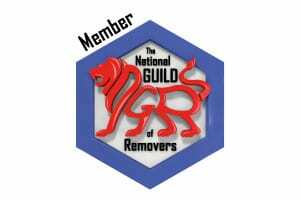 We’re one of the most recommended removal companies in London and we are regularly ranked in the National Guild Of Removers and Storers ‘Top 10’ Moving companies in the UK based on quality control. We are rated ‘Excellent’ on Trustpilot and hold a 5 star rating on RemovalReviews.co.uk. We also hold a Google review rating of 4.5 stars out of 5. 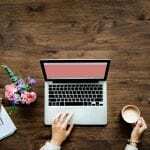 In addition to all of the reviews left by our customers on independent review platforms we also publish the removal reviews sent to us directly on the testimonials page of our website. We recommend that all customers looking for moving services in London read through moving company reviews when choosing a removal firm. Your chosen removal company should be more than happy than provide you with references. Removal quotes – Are you comparing like for like? We’re often asked how to compare removal quotes and we always remind customers to make sure that they are comparing like for like. Removal company prices can vary greatly but so can the quality of the service received. 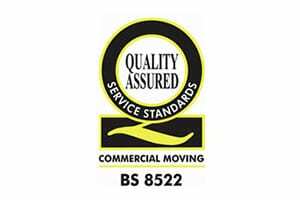 While one moving quote might be cheaper than another you shouldn’t chose a removal company based purely on price. 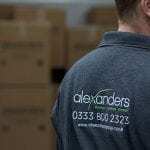 At Alexanders we advise customers to look at quality and additional services when comparing removal costs. 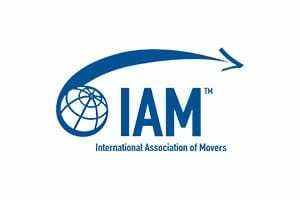 Always ask what accreditations and memberships to professional associations a removal company has. The difference between a fully insured professional removal company and a small one man and van outfit is considerable. 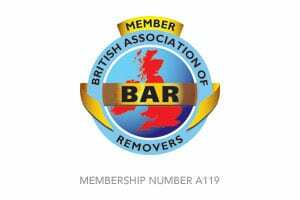 At Alexanders we are members of the British Association of Removers and hold the BAR Trading Standards Institute Consumer Code of Approval. 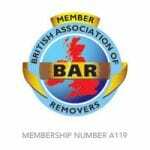 As members of the BAR Commercial Moving Group we are also considered experts in commercial removals to both the public and private sector. 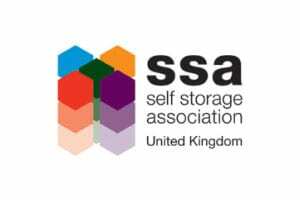 We are full members of the Self Storage Association, which sets the standard for the industry, and we have also been awarded the Annual Certificate of Excellence (ACE) by The National Guild Of Removers & Storers for six successive years. 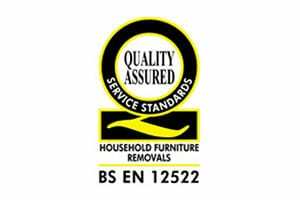 We have also been accredited with the British Standard BS EN 12522: Furniture Removals for Private Individuals along with the British Standard BS 8522 for Commercial Moving Services. Aside from quality it’s important to make sure that everything else within the moving quotes is the same. Has each company quoted for the same volume of goods or have some been missed off? We send professional move estimators to make sure all items and rooms have been accounted for. 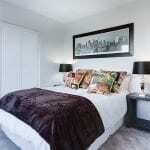 Based in North Acton we’re specialists when it comes to removals in North London and removals in West London. We’re a local removal company who keep on growing and we’re now providing a first-class moving and storage service to more customers than ever before. We’re proud to have been named ‘Best Services Company of the Year’ and ‘Logistics Business of the Year’ at the West London Business Awards 2017. 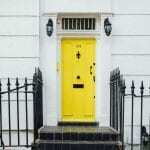 We understand that when moving home or business in London it’s important to find reliable removal companies. Look no further. 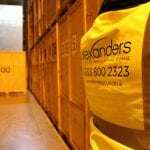 At Alexanders we have years of experience moving. Look no further. 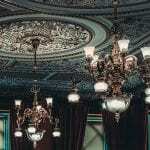 Fill in our Quick Quote form or email quote@alexandersgroup.co.uk for a no obligation estimate or call 0333 800 2323 to speak to one of the team. Contact Alexanders to ensure your moving day ends with a smile.